Automotive brand Ford has installed its FordHub in New York's Westfield World Trade Centre to showcase the brand's expansion into mobility solutions. The brand experience centre opened on 30 January, an interactive space designed to showcase Ford’s expansion to a mobility company, as well as an automotive brand. Guests are invited inside the FordHub to be inspired, not just by Ford's own innovations and developments, but by the future of transportation as a whole. The centre intends to showcase transport in an entirely new way by encouraging imagination. Inside the centre, visitors can explore a world map showing how mobility advancements will play a role in the 'City of Tomorrow', as well as having the opportunity to experience a mobility map that tracks the pulse of New York City. The map features real-time traffic information for commuters. 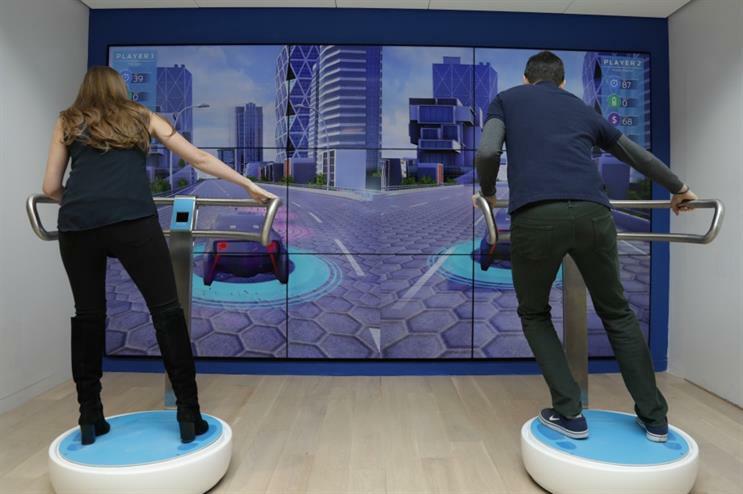 Guests can also take part in more playful activities such as the 'Last Mile Challenge', a wobbleboard race through a futuristic world using every mode of transportation. Players will earn tokens for every mobility based-decision they make. Also on offer is 'Mustang over Manhattan' where guests will don a virtual reality headset and attempt to build a Mustang atop the Empire State Building. In addition, Ford has stated that it will collaborate with communities, thought leaders and artists to introduce new interactive programmes into the FordHub. An advert illustrating the brand's expansion into mobility solutions will debut just before the Super Bowl kick off on 5 February. Stephen Odell, Ford executive vice president for global marketing, sales and service, said: "Ford was founded on the promise of providing affordable transportation solutions to millions of customers, and this commitment still drives us today. As we expand our business to be both an auto and mobility company, we’re using new experiences like FordHub and our first Super Bowl ad that talks about the future, to explain what we mean when we say ‘We go further so you can.’"
In November, Event spoke to Ford's UK marketing director Lisa Brankin about the brand's Driving Skills for Life training experience. Earlier this month, Hyundai revealed details of its experiential Super Bowl activity.